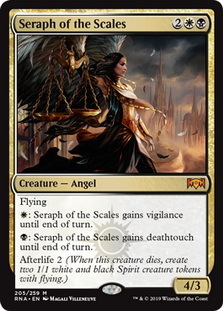 When I played Magic for a living, a long long time ago, one of things that I would love to do was look at the metagame of the format that my team was working on and tried to figure out whatever edge we could get. This was a lot easier in formats like Block Constructed and Standard, which featured smaller card pools and less powerful cards. As power has creeped up over the years this has gotten harder and hard to do, but players like Brad Nelson and Gerry Thompson are able to view metagames and attack them. They have done remarkable jobs with seemingly solved formats and finding answers to them. One of my favorite deck stories came from States, which was a big deal back in the early 2000s. It was really for nothing more than bragging rights, but it used to be that Grand Prix didn't really feature Standard, and it was before the Fall Pro Tour, so amateurs got to show off their skills before the pros did. As time moved on, Organized Play did as well, the Invitational would feature Standard, come before states, and start to skew the metagame. In 2002, the Invitational did this, and while Psychatog , Battle of Wits , Mirari's Wake , and Goblin Piledriver got the hype from the event, Tomi Walamies really broke early Standard with a sweet Blue White Battle Screech Opposition deck. 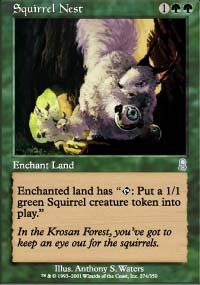 Blue Green Madness wasn't really well positioned, and people had forgotten about Squirrel Nest , so to me, the best thing we could do was take the powerful cards from Blue Green Madness and mesh that up with an Opposition deck. 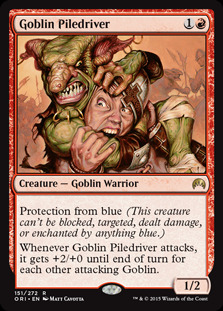 Adding Squirrel Nest made it possible to lock down the control decks of the format and give us a stream of blockers to deal with Goblin Piledriver. The metagame that we thought was going to happen, happened, and while I stuck on UW opposition (I thought it was our best deck) my friend Will took the UG Madness list and took it to a 2nd place finish. He even got to take home the plaque from the prize split in the finals. Attacking the metagame can be risky, but it can pay off huge if things break right for you. Attacking the metagame is what I want to do in today's article. I mentioned this on Twitter a few days ago, but I feel like Crushing Canopy is well suited for maindeck play in Standard. 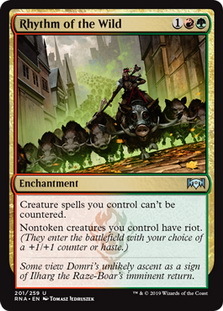 Rick Longo, a writer for PureMTGO, called it the green Mortify while I was going off on my rant about it, but I want to say he's really not that far off. Let's look at what Crushing Canopy does though. For a low cost of 2G we get an instant that gives us a decision to make. We can destroy a creature with flying or we can destroy an enchantment. This is a pretty good deal for a sideboard card, but can we justify putting it in to the main decks of whatever green deck we are playing? When I am making that decision I look at what I expect the metagame to be. 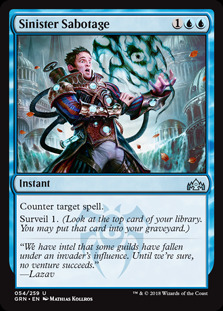 This is a much easier thing to do now that mtggoldfish exists and I can look at the most played decks. From there I pick a number of lists, look at samples and make a decision. For the purposes of this article I am going to look at the twenty most played decks. We are also just looking at the main deck of these 15 to make the decision. Seems easy enough, so I'll start from the top, and all decks stats are from 2-11-19. 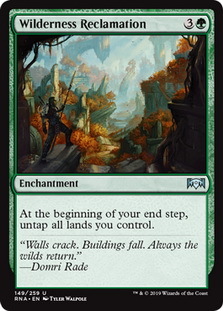 The deck was are considering Canopy for is Temur Reclamation, I wrote about it last week. 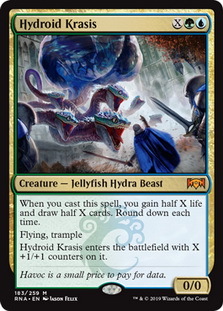 Out of the starting 60 the only card that we could expect Crushing Canopy to deal with is Hydroid Krasis . 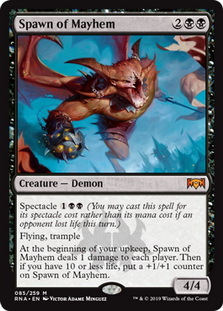 That's a high impact card for them, but not really a good enough reason to consider maindecking the hate spell. 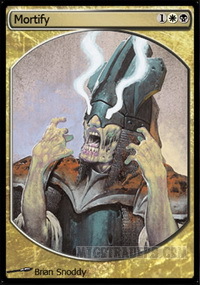 If The Eldest Reborn were to see maindeck play again, then that would improve the case for Canopy. Canopy kills nearly every creature in the deck. 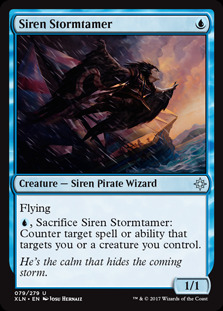 Tempest Djinn , Siren Stormtamer , and Pteramander are core staples for the deck in regards to creatures, and stuff like Warkite Marauder sees play from time to time in the main of these decks. 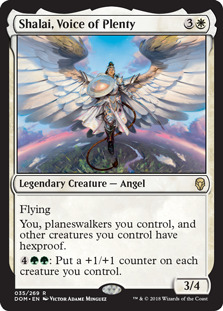 On top of this it also answers Curious Obsession , which could make the non fliers that Canopy doesn't hit card drawing threats. 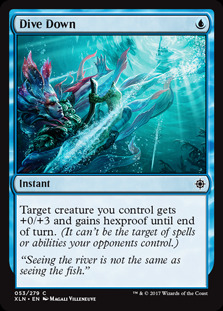 Despite cheap counter magic and Dive Down existing, this is a spell that I want against Mono-Blue. Legion's Landing , History of Benalia and Conclave Tribunal are all enchantments to kill. Skymarcher Aspirant is a card it can hit sometimes, but not often enough. 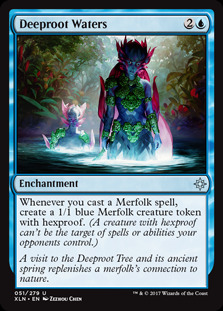 Outside of Tribunal, the enchantments in the deck feel awfully low impact to me. It would be nice to be able to unlock Wilderness Reclamation if it got caught under the Tribunal. 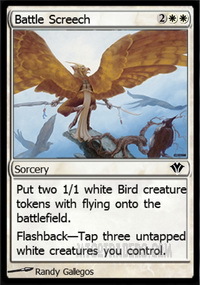 Every creature in the deck dies to Canopy. 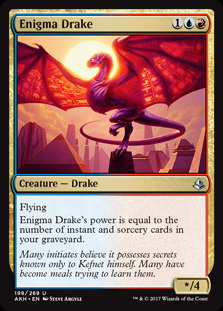 Pteramander , Enigma Drake , Crackling Drake and Niv-Mizzet, Parun all eat it. 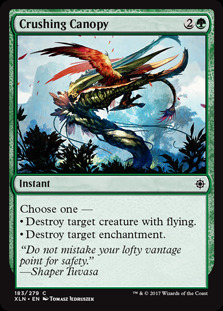 Canopy doesn't kill anything else, but if you can keep them from killing you, this seems like the kind of thing that you want to have in your maindeck. It's a simple elegant answer to these cards. It kills Search for Azcanta . This is another matchup that if The Eldest Reborn started to see play in again we would want it. However that does not seem likely, so we would pass on Canopy in the main deck here. 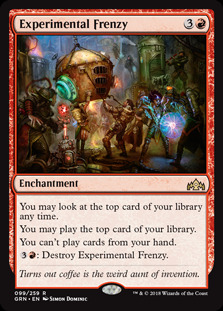 Experimental Frenzy is the only card that Canopy can kill out of the main here. While it's important, I think it's better that we let Quench and Sinister Sabotage carry the weight here. Depending on the build we have some juicy targets here. Wilderness Reclamation may be the most important thing that we can kill, but we can also stop their filtering from Search from Azcanta, and an alternate win condition from Hydroid Krasis. 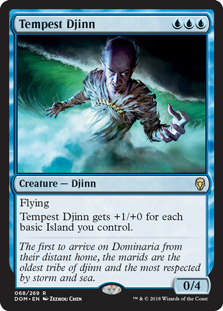 Does it answer Teferi, Hero of Dominara ? 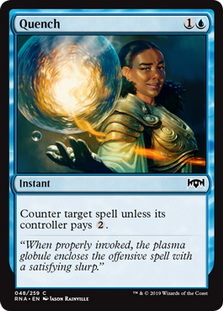 No it doesn't, but our countermagic can. Still having an answer to opposing Reclamations is a nice thing. Do we want Canopy? Kinda? This deck is very similar to Sultai Midrange, but we get an extra target thanks to Hadana's Climb , and possible extra targets if the enchantment ever flips. We can kill Krasis, but honestly this deck has never been a real threat to Temur Reclamation in my eyes. 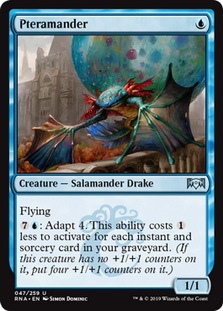 It kills the untap engine in Wilderness Reclamation, the draw engine in Guild Summit and the flying monster in Krasis. 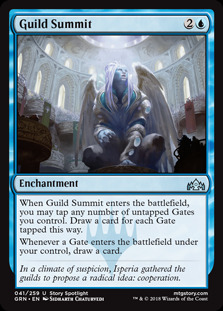 If they can't untap their lands they can't cheat Nexus of Fate and if they can't draw with Summit the deck kind collapses on itself. 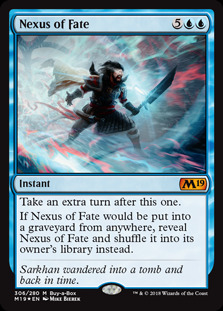 Like the Nexus gate deck, but without Nexus of Fate. 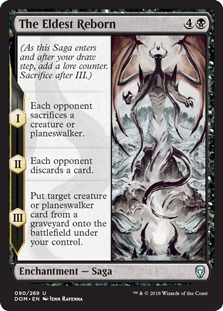 We get to kill Krasis, Summit, Ixalan's Binding and Archway Angel . Seems like a fine inclusion here. 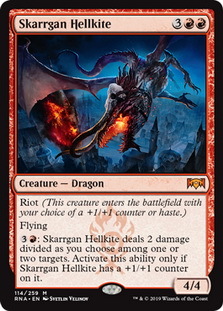 Well it gives us a cheap answer to Niv-Mizzet. That alone is worth it, because we're not relying on a 7 mana sorcery to try to do work. 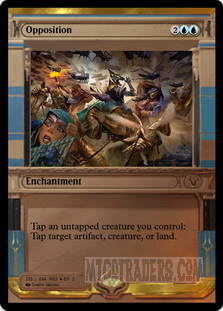 It also kills Search for Azcanta and Wilderness Reclamation. I'm not saying we want a full playset against this matchup, but some copies would not hurt. 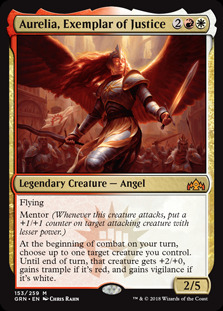 This is the Hero of Precint One deck, except it mostly doesn't run it anymore and relies on the really good multicolored cards instead of the Hero and then the good multicolored cards. 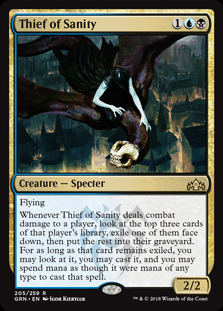 Thief of Sanity is a must kill threat. 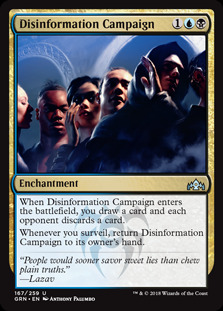 Disinformation Campaign is another annoying card that can really tear your hand apart. The Eldest Reborn is the least threatening of all of these but between Canopy and counterspells, we should be just fine. 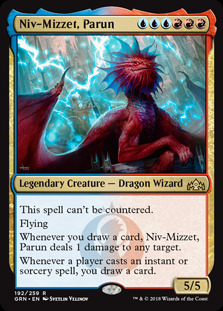 While the targets are limited, this is a Niv-Mizzet deck, and having a cheap way to kill the dragon is appreciated. That alone I believe is worth the inclusion. 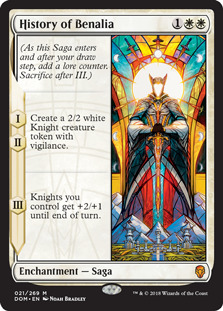 Close enough to the Azorius Aggro deck, but with the added problem card of Divine Visitation . 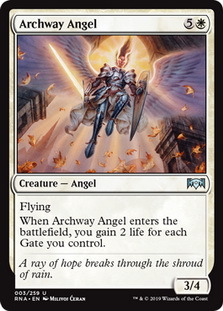 It doesn't kill any other cards in the deck, as the Boros decks have moved away from an Angel based strategy to a wide token strategy. Making their tokens smaller seems to make things easier to deal with. I personally feel like this is the best Nexus/Reclamation deck in the format. 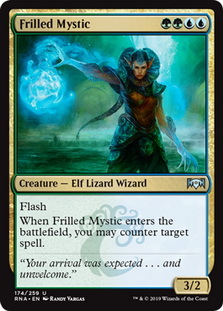 Keeping it two colors allows for more consistency,the ability to easily play Frilled Mystic and allows you to play Fogs as well. Sometimes the most simple way to build something may be the best. We get to kill the same problem cards here, Search for Azcanta, Wilderness Reclamation and Hydroid Krasis. Worth it I think! Do we want Canopy main? Well let's take a look at the previous 15 decks. 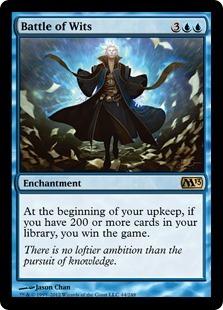 Sultai Midrange, Azorious Aggro, Esper Control and Mono-Red Aggro are decks that we don't want it in the main deck for. 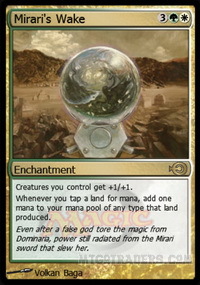 They also measure according to MTGGoldfish, 24% of the metagame on MTGO. 10 of the remaining decks we seem to want Crushing Canopy in the main for. 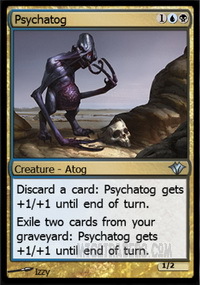 The 15th is a kinda, however when you add up the totals for them, that comes up to 31% of the metagame on MTGO. 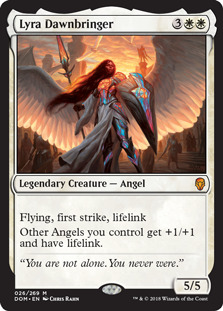 This doesn't account for other commonly played threats, like Rekindling Phoenix , Skarrgan Hellkite , Rhythm of the Wild , Spawn of Mayhem , Theater of Horrors , Doom Whisperer , Lyra Dawnbringer , Seraph of the Scales , Aurelia, Exemplar of Justice , Resplendent Angel , Shalai, Voice of Plenty , and Deeproot Waters . I think it is safe to say that having copies of Crushing Canopy in your main deck is not only correct, but would not harm your overall 60 while you look for any edge you can get in game one against the field. Looking at the Temur Reclamation deck that I presented last week, finding space for 2 copies in the main shouldn't be that hard, and a third in the board seems incredibly easy to achieve. It's just testing it now that takes up the time! So yeah, here is my case for Crushing Canopy in Standard, what do you all think? I want to know what you'd take out for it. I think I would start with Growth spiral and Star. I wrote this earlier on PureMTGO and I still think it is more true than not^_^. "When I was playing Standard with new cards a thought came to my mind - Crushing Canopy might be one of the best removal spells in Standard." 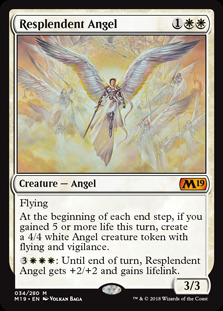 The Eldest Reborn is still really good and I would expect to see more of it, maybe not in BUG Midrange but other Midrange decks ... like RB Midrange which is surprisingly a good deck. Yeah it's weird to me that The Eldest Reborn has dropped off in play so much. I think it is really good still.